These toys from companies who are exhibiting at the ASTRA Marketplace & Academy encourage kids to exercise their bodies their imaginations, indoors and out. Kabrio by KETTLER INTERNATIONAL INC.
Coast downhill or pedal in gear. Features Synthetic MaxXtread wheels, Dual rear wheel handbrake, High carbon steel frame with fade resistant powder coat finish, Coasting lever, 3 position easy adjust high back racing seat, Oversized anti-slip pedals, Sporty steering wheel, Fully enclosed chain for safety, and Four bolt easy assembly. This pump-action device fires miniature marshmallows approximately 30 feet on a line. This shooter has two magazines that hold 25 marshmallows each and is top-rack, dishwasher safe to clean. The shooter, like all Marshmallow Fun Company products, is designed to shoot nothing but soft, safe marshmallows. 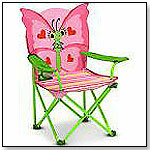 This child's beach chair features a bright design of pink butterflies and green accents. The collapsible chair features a cup holder in one arm rest, a brightly striped seat, and a metal frame. 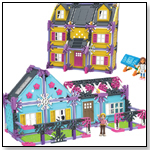 As of 1.06.2011 this product was listed as a bestseller in the Pretend Play & Dress Up category on Toysrus.com. As of 1.06.2011 this product was listed as a bestseller in the Specialty Toys category on Toysrus.com. Pros: Colorful yet functional; cup holder. — Bebe Feimster, owner of Big Smile Toys in Paoli, Pa., told TDmonthly in a June 2015 survey that Melissa and Doug’s Sunny Patch beach chair is one of their best-selling furniture items. Unzip the graphic, patch adorned exterior of this backpack into a 2-lane drag strip with a winding cityscape in the background. The car’s body is integrated into the shape of the backpack – with a sewn on Hot Wheels patch on the hood. Sturdy spring steel construction makes for long lasting fun in this Dinosaur Train themed tunnel. Assists in developing cooperative play. Great for muscle development. 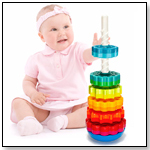 Stimulates the imagination for creative playtime. Racin' Rody Horse by TMI TOYMARKETING INTERNATIONAL INC.
Made in Italy, the Gymnic Line's NEW Racin' Rody Horse is a favorite with children to learn balancing and coordination while hoping on their Racin' Rody or to do Racin' Rody Races! Also used for therapy with special needs children due to its softness and ride-on qualities. Made of heavy duty, latex-free vinyl. Inflates according to size and weight of the child (inflation by adult). Base is available for transforming to a Rocking Racin' Rody. Launch date: February 2011. These helium-filled clownfish balloons are remote controlled to "swim" through the air. The infrared remote functions include climb, descend, and tail fin control. Up to a 40 ft range. 57 inches long, 36 inches high. Launch date: 2011. — As of 10/14/2011 this product had 3.3 out of 5 stars from 16 reviews on ToysRUs.com. Pros: Entertaining. Cons: Flimsy; hard to balance; does not work well in areas with AC, fans, or open doors or windows. Torch Fire Truck by WORX TOYS INC.
Other products from WORX TOYS INC. The Torch Fire Truck lets children get a detailed look inside to see how it works. The Torch Fire Truck comes with an illustrated Howie Work’s adventure hardcover storybook that takes them through how each of the major parts work in real life. By pushing a simple, three-digit combination of buttons on the vehicle or the included Worx Storybook Transmitter, an infrared signal is sent to the Torch Fire Truck revealing a working engine, emergency lights, fire hose, and much more. Launch date: July 2011.